Yoga has positive effects on mild depression and sleep complaints, even in the absence of drug treatments, and improves symptoms associated with schizophrenia and ADHD in patients on medication, according to a systematic review of the exercise on major clinical psychiatric disorders. Published in the open-access journal, Frontiers in Psychiatry, the review of more than one hundred studies focusing on 16 high-quality controlled studies looked at the effects of yoga on depression, schizophrenia, ADHD, sleep complaints, eating disorders and cognition problems. Yoga is a popular exercise and is practiced by 15.8 million adults in the United States alone, according to a survey by the Harris Interactive Service Bureau, and its holistic goal of promoting psychical and mental health is widely held in popular belief. "However, yoga has become such a cultural phenomenon that it has become difficult for physicians and patients to differentiate legitimate claims from hype," wrote the authors in their study. "Our goal was to examine whether the evidence matched the promise." Benefits of the exercise were found for all mental health illnesses included in the review, except for eating disorders and cognition problems as the evidence for these was conflicting or lacking. 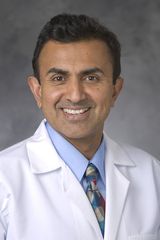 Dr. P. Murali Doraiswamy, a professor of psychiatry and medicine at Duke University Medical Center and author of the study, explained that the emerging scientific evidence in support of the 5,000 year old Indian practice on psychiatric disorders is "highly promising" and showed that yoga may not only help to improve symptoms, but also may have an ancillary role in the prevention of stress-related mental illnesses. The review found evidence from biomarker studies showing that yoga influences key elements of the human body thought to play a role in mental health in similar ways to that of antidepressants and psychotherapy. One study found that the exercise affects neurotransmitters, inflammation, oxidative stress, lipids, growth factors and second messengers. Depression alone affects more than 350 million people globally and is the leading cause of disability worldwide, according to the World Health Organization (WHO). On World Mental Health Day last year, the WHO called for improved access to treatments. While there has been an increase in the number of medications available for mental health disorders, many of which can be life saving for patients, there remains "a considerable unmet need," according to Dr. Meera Balasubramaniam, lead author of the study, who is also based at Duke University. Poor compliance and relapse as well as treatment resistance are growing problems, and medications are expensive and can leave patients with significant side effects. The Primary Care study, carried out by WHO, found that 60% of patients were still depressed after a year of being treated with an anti-depressant and NIMH-funded research showed remission in only one-third of patients. "The search for improved treatments, including non-drug based, to meet the holistic needs of patients is of paramount importance and we call for more research into yoga as a global priority," said Doraiswamy. "If the promise of yoga on mental health was found in a drug, it would be the best selling medication world-wide," he added. There are many benefits associated with practicing yoga for improving mental health, including, fewer side effects, relatively low cost, generally good access and the improvement of physical fitness, added the authors. The authors also note that while the results are promising, the findings should be viewed as preliminary because all studies of yoga to date have consisted of small samples, and more rigorous research will be needed before the exercise can be applied to help patients with mental health disorders. Yoga on our Minds: A Systematic Review of Yoga for Neuropsychiatric Disorders. Authors: Meera Balasubramaniam, Shirley Telles and P. Murali Doraiswamy.